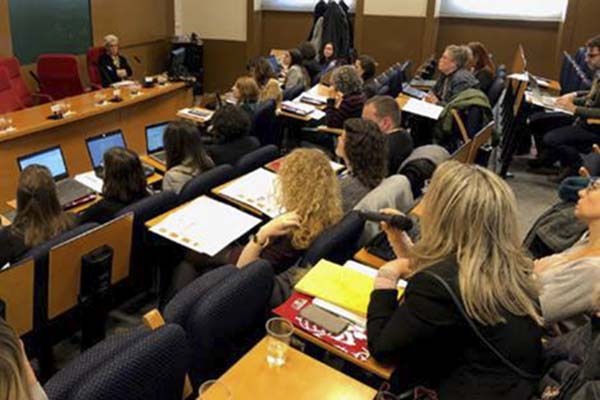 The Global Citizenship Commission of EDUCSI (the network of Jesuit educational centers in Spain) was set up in Madrid on February 7th. The meeting was a starting point for deepening and responding to the sixth challenge that Fr. General proposed to the Jesuit schools in his speech to the delegates at JESEDU-Rio 2017: “Although the concept of the “global citizen” is still under construction, our education should be a creative actor in this. 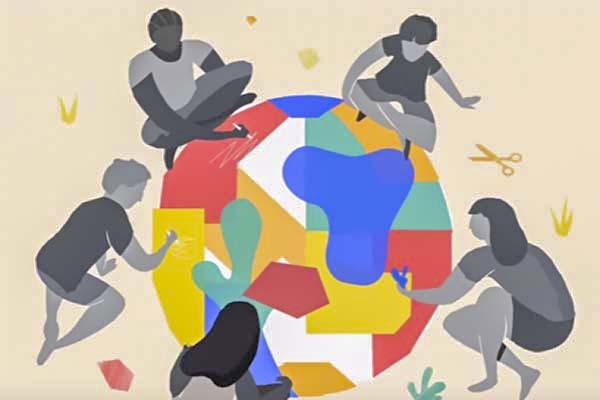 Our presence in so many places and cultures around the world allows us to create and offer educational proposals for an intercultural view of the world, in which all human beings and their peoples possess a “global citizenship”, where rights and duties are connected. This is beyond culture itself, nationalism or political or cultural fanaticism, which prevent the recognition of our radical brotherhood” Being a constitutive meeting, it was very focused on planning the work to do. The Agenda 2030 of Sustainable Development Objectives and the Apostolic Preferences of the Society of Jesus, as well as the speeches of the last Jesuit Generals and other documents were marked as inspiration for the processes of the commission. Antoni Parellada, president of the commission affirmed that "it is global citizenship that inspires the actions of our centers in the social sphere". Likewise, Parellada affirms that the Commission "wishes to be in full harmony with all the work that both JECSE and the task force of the Secretariat of Education have begun to carry out in order to promote and develop a transformative education for Global Citizenship in the Jesuit schools ". 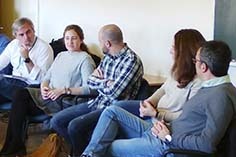 "Accompanying the beginnings of a path of love" was the theme of the Family Ministry meeting of the Jesuits in Spain which was held in Barcelona during the second weekend of February. More than 60 people from nearly 20 different towns participated and shared their experiences about family ministry in different places of the Province. The first challenge is welcoming couples into our post-Christian society. People are often distrustful and even hostile to the Church, especially in the light of the recent scandals of sexual abuse. Cardinal Juan José Omella, Archbishop of Barcelona, participated in the meeting. He began his intervention by pointing out the relationship between Ignatian spirituality and family life, by helping us to find God in daily life. In his talk he stressed the importance of transmitting faith in the family through our testimony, without demanding results nor losing hope. There was also a session dedicated to "good practices" in which we learned about experiences with cases of couple break-ups, pastoral care with LGBT Christians, or new ways of adapting Ignatian spirituality to the family. Our companions Giuseppe, James, Angel, Michael, Nelson, Anuj, Benjamin, Pedro, Lluís and João were ordained deacons by Cardinal Archbishop of Madrid, Carlos Osoro on February 9 in Madrid, the city where they study theology. 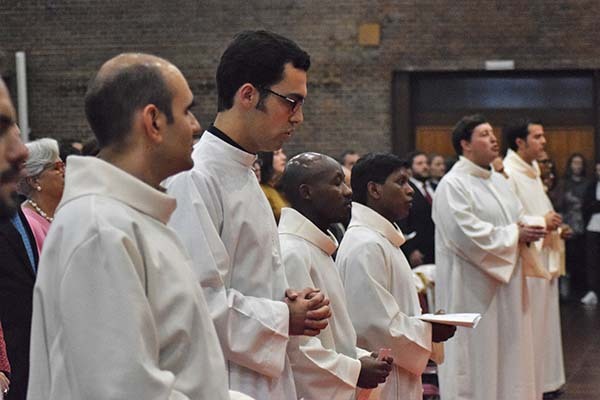 The ordinands came from six countries: Spain (Lluís Salinas, Pedro Rodríguez-Ponga and Angel Benítez), Rwanda, India, Italy, Portugal and Malta. Cardinal Osoro was accompanied by the bishop of Lérida, Salvador Giménez Valls and the bishop of Ethiopia, the Colombian Jesuit Rodrigo Mejía. Also concelebrating with the provincial, Antonio España, were the provincials of Portugal, José Frazao SJ and the provincial of Mediterranean Europe, Gianfranco Matarazzo SJ and his delegate for the Elderly, Vincent Madri SJ. Carlos Osoro talked in his homily about the work and virtues that should characterize deacons. "You are what you are by pure grace (...) servants of the Gospel by pure grace" he told to the ordinands and reminded them of various conditions necessary to be so: to listen, "put our whole life at the service of the one who configures you today; let Jesus speak through you (...); do not remain on the surface, enter the depths of life... rowing into the deep; find companions on the way and place yourselves in the hands of Jesus (...) Tell the Lord: Here I am! aware that it is by his grace and that the Lord calls me to serve the Gospel in its originality". Once ordained, each of the godparents of these ten Jesuits imposed on them the stole in the diaconal mode and the dalmatic. Then the new deacons approached the bishop to receive from his hands the book of the Gospels. Finally, their superiors gave them the book of the Liturgy of the Hours. For the first time, and once ordained, the new deacons distributed communion. One of the ordained deacons pronounced at the end some words of gratitude to the Lord for his call, for the Church and for their families, for all those who accompanied them in their vocation, the absent, the deceased and the companions who preceded them in this vocation. CRISTIANISME I JUSTÍCIA is a study center, dedicated to reflecting on social and theological issues. Booklet number 169: Dismantling the hells In the face of the hells created by violence, oppression, and repression, the victims of injustice seem to have no other alternative than fight (action-reaction) or flight (silent submission). This booklet explores the “third way” of Jesus, which goes far beyond those two options. This “third way” is the path of active non-violence, a path that requires great lucidity, creativity, faith, and constancy. It comes out of a long biblical tradition, and it acquires special meaning in the context of our present-day society. 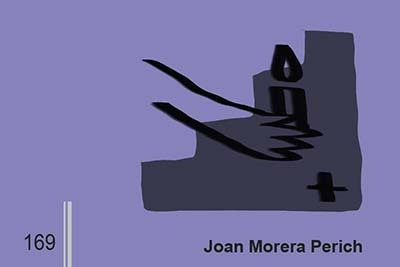 Download the Booklet Joan Morera Perich, a Jesuit, earned his licentiate in Biblical Theology from the Gregorian Pontifical University of Rome, with a thesis that compares active nonviolence in the Suffering Servant of Isaiah with the active nonviolence of Jesus of Nazareth. He is the author of Diàleg de sords? Pedagogia per a reconciliar conflictes(Claret 2009) [Dialogue of the Deaf? Pedagogy for Reconciling Conflicts], and he is interested in assisting victims of conflicts, using the active nonviolence of the Kingdom. 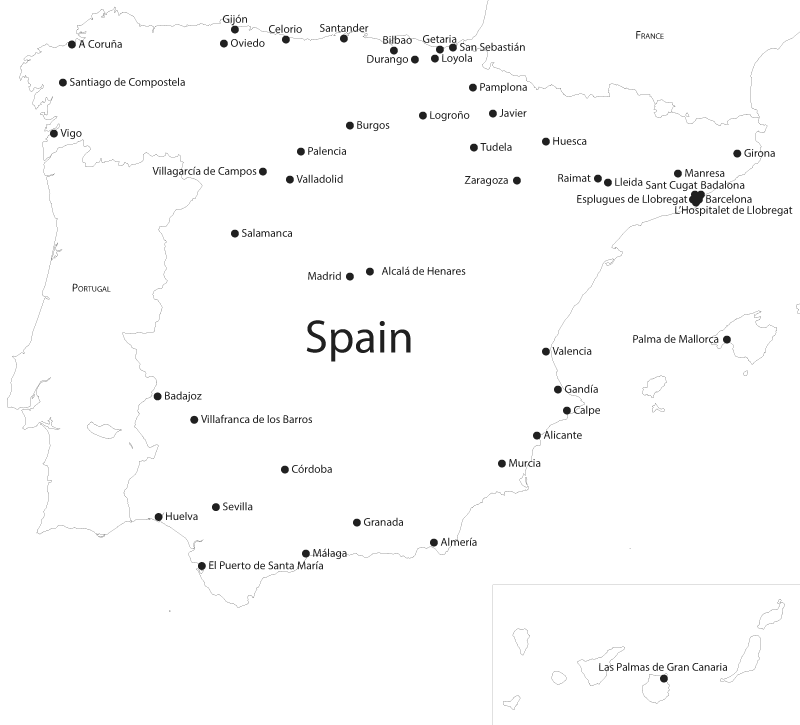 The Universidad Pontificia Comillas will lead a research project for the European Union (EU), laying the foundations for a future common policy on the integration of immigrant children in the long term. The center responsible for the project will be the University Institute for Migration Studies ( IUEM or Instituto Universitario de Estudios sobre Migraciones), which can consider the awarding of such a project as the best possible gift to celebrate its 25th anniversary. It will be leading a research consortium composed of eleven partners from seven countries (Spain, Italy, Greece, Ireland, Belgium and Germany). The project, which has just kicked off, has a four-year span and a budget of three million euros. If there was someone happy with this great news, it was definitely Mercedes Fernández, who just completed her term as director of the Institute in September. "I have always been very involved in European affairs. We have been working for many years, and we have a team with a huge vocation for Europe that has always applied for these projects", she said.